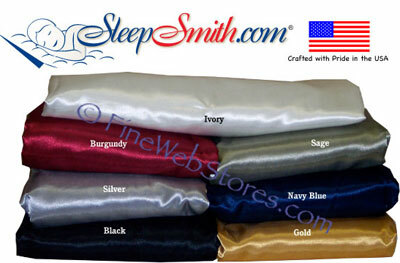 King Size Satin waterbed sheets are for lovers! Our optional satin comforters are great! They measure a generous 7'3" x 8'9" and will make your bed look great! They are stuffed with 100% soft polyester fiber for an expensive look. They are also washable. Thanks For The Bitchen Product. Keep Up The Good Work.